Darin Davies left South Africa on a ‘working holiday’ in 2001, with every intention of returning to his career in the hotel industry here. Instead, he found a world keen to recognise talent and positive attitude, and one that opened up many opportunities for him. Liking what they saw in Darin, this leading global hotel group asked him to stay on, sponsoring his stay so that he could remain in the UK legally. Over this time Darin gained valuable exposure to a number of fields in the hospitality arena – from guest relations, to sales, to food and beverage, and rooms management. Darin discovered a talent for working with wealthy clients from the Middle East, many of whom would visit London for their long summer holidays. 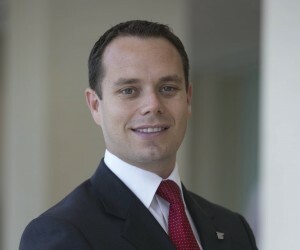 Marriott also strongly supported Darin’s professional development, and today he holds the position of International President of the AICR (The International Association for Deputy Managers and Front Office Managers of Luxury Hotels), a global Front Of House Managers’ Association. 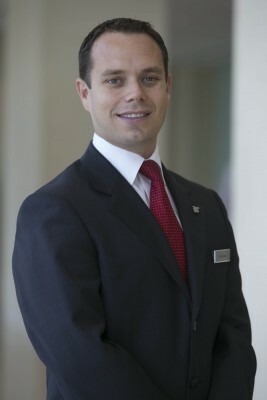 Darin visited South Africa on five occasions to recruit entry-level staff for the hotel, bringing in more than 100 South Africans to join the staff of over 1 600. For many families in South Africa, this has been a crucial element of their ability to survive. “Probably about 80% of the South African staff send most of their salaries back home to their families. They are able to save money because the competitive compensation package includes basic living costs like housing in the Middle East,” he explains. After almost 3½ years in Dubai, Darin moved to Doha in Qatar, where he holds the position of Director of Room Operations at the Marriott Marquis City Center. According to Darin, young South Africans should look at the hotel industry for work opportunities. “The hospitality sector is growing all the time, especially in the Middle East and Africa region. So there is constantly a need to recruit new staff, and it’s the one part of the world where it’s relatively easy to get work visas.